Look at that: evidence, shared decision making and communication! It’s participatory medicine in pinstripes! Beyond a reverence for tradition, the parallels between baseball and medicine are… striking. Doctors manage individual patients, and baseball, while a team sport, is very focused on individual match-ups. As in medicine, managerial decisions have traditionally been driven as much by heuristics (“That’s the way it’s done”) as by data. However, just as evidence-based medicine has spotlighted the dubious basis of long-accepted medical practices such as “Once a C-section, always a C-section,” the rise of sabermetrics, famously chronicled in Moneyball, has exposed faulty baseball bromides related to practices such as when to sacrifice bunt or lefty/righty matchups. We do not yet recruit neurosurgeons based upon Wins Above Replacement (though the equivalent statistic is certainly coming), nor offload orthopedists for an arrogant attitude. However, Major League Baseball’s entire 2017 payroll of $4 billion wouldn’t pay for even a half-day’s worth of the $3.5 trillion spent annually on U.S. health care. With an estimated 30 percent of that massive amount going to waste, the pressure on every player in the system to “win” with patients will make Game 7 of the World Series look like a pickup softball match at a summer picnic. Yes, “gut instincts,” knowledge and experience still count. Nonetheless, there is an intensifying emphasis on combining those attributes with both data expertise and a knowledge of how to build the right relationships, whether in baseball and other sports or in education, policing and throughout our economy. In a recent article for the BMJ on collaborative health, I urged physicians to stop bemoaning their inevitable loss of control and instead reach out to patients with shared information, such as opening up the complete electronic medical record; shared engagement, including with non-traditional actors such as online communities; and shared accountability. Like ballplayers and managers, patients and doctors share a common goal, albeit with a much more serious win-loss column than the one involving what are after all, only games. As with ballplayers, the best outcome may sometimes depend on patients doing what they’re told, quickly, competently and without dispute. But for that to happen, the process of mutual engagement, communication and connection must happen first. Sometimes, the manager has to be the one who listens. The Yankees have not stopped nixing names on uniforms nor suddenly become forgiving about facial hair. But even baseball traditionalists are realizing that dugout instincts and sabermetric savvy aren’t enough if a manager whiffs on building the right relationships. The player “experience” isn’t an add-on; you can’t be competitive without collaboration. Soon enough, physicians and others will realize that the same formula for success holds true in health care. Wonderful fun piece. Thanks Michael! John, with all due respect, having a collaborative relationship with those you manage and also using data is not the same as Billy Bean’s numbers driven (budget and player information) approach as general manager (not manager). Apples and oranges. 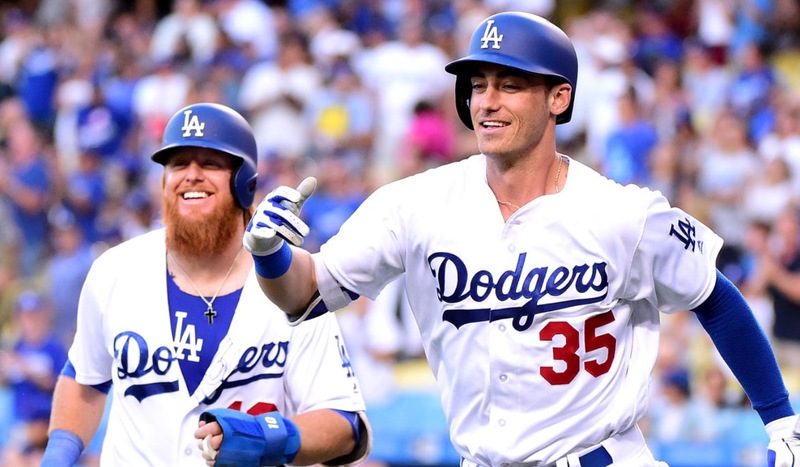 Dodgers failings were not due to over reliance on data or a failure to motivate. Indeed, one could argue they wouldn’t have gotten as far as they did without Dave Roberts. And, just possibly, a very large budget Oakland could only envy. We have a long way to go with a nationally prompted improvement of our healthcare’s institutional governance and the community driven improvement of its own COMMON GOOD before the priorities of a baseball team would be helpful to decrease health spending as a portion of the GDP by 30% and reduce our nation’s maternal mortality ratio by 70%.